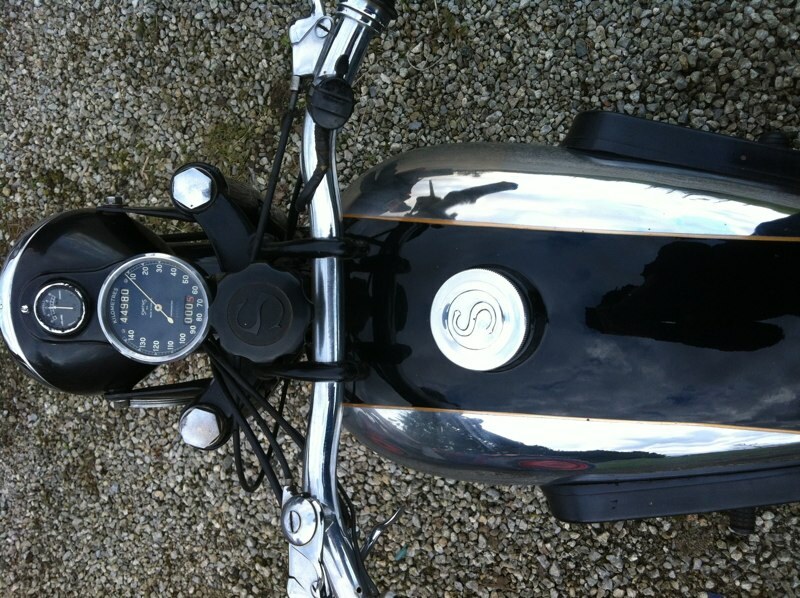 Sarolea can for sure be named as one of the most successful Belgian Motorcycle brands. They started their motorcycle production in 1898 and at that time even produced single and V-twin engines for many other brands. Apart from their broad variation in models and engine configurations, Sarolea was also successful in racing: until 1937 many Belgian championships were won on Saroleas, afterwards focus was shifted to motocross (where names like Mingels, Decoster and Meunier surely ring a bell). Even after the launch of a 500cc parallel twin in 1950 (and 600cc in ’53), Sarolea could not be spared from the changing market situation (availability of small cheap cars and strong British competition) and closed its gates in 1960. 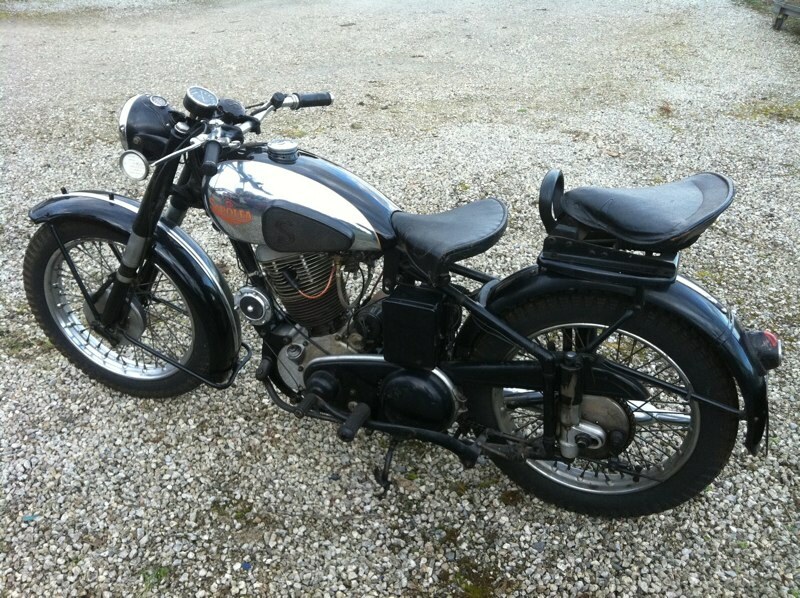 The 350cc BL48 was launched in 1948, together with the 350cc “B” model, which had a rigid frame. Offered besides several side valve models, this OHV “BL” was pretty revolutionary for its time, offering comfortable telescopic front forks, a plunger rear suspension, pre-unit 4-speed gearbox and an alloy cylinder head. 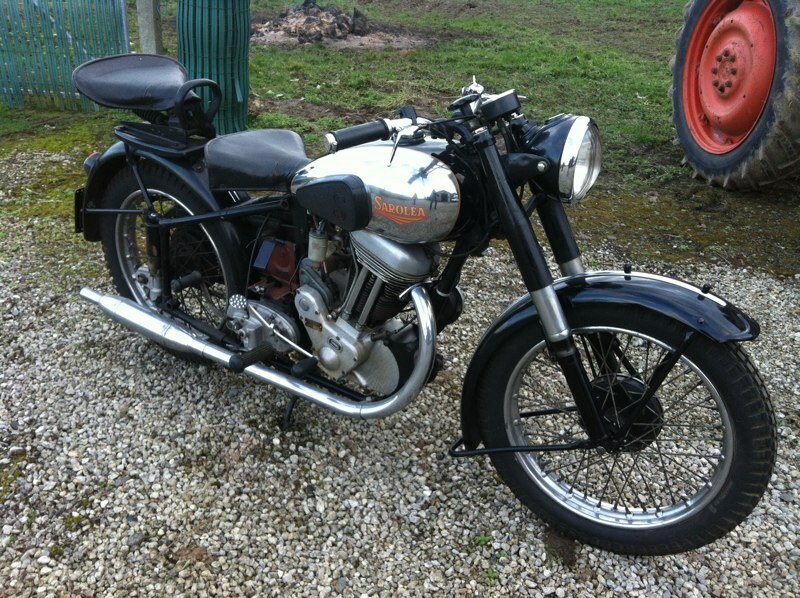 This lovely BL48 was completely restored by a Sarolea connoisseur some 20 years ago and still in splendid condition today.